Right-click on your desktop, go to "new" and click "Create Shortcut"
On the next screen, name your virus whatever you want, it will still have the same effect. Click "OK". Your fake virus will be on your desktop as whatever you named it. Click to activate it. If done correctly a shutdown or log-off window will come up with the amount of time, your comment, and a bunch of other stuff. You can not abort the shutdown with task manager by trying to close the window or delete the processes. shutdown -f -s 10 -c "Your computer has committed suicide. Have a nice day." Only do this to someone who can handle this prank. The example provided can run on Windows. 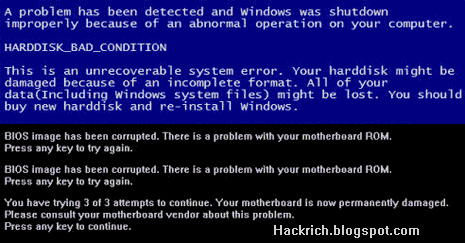 This is not completely harmless, since it will shutdown your PC and force you to lose any unsaved work.Rest assured all should be normal when the computer is turned on again. 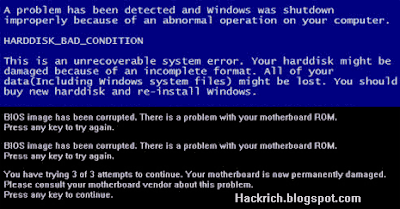 This might affect the way your computer runs or the way another computer that you hacked runs. so only do this if you are a experienced hacker. also I suggest that you save all of your contents onto a thumb drive if you decide to test it out on your computer first. And remember this is in seconds not minutes. so don't type in -5 and think you'll be fine.